It’s already Parade of Homes time! This year designXchange staged TWO houses! It was a very busy week getting ready for the Parade of Homes! The 2018 Milwaukee Builder’s Association Parade of Homes is spread out between three subdivisions. There is Lilly Crossing in Brookfield, Lake Country Village in Summit, and we decorated two homes in the Hidden Hills subdivision in Sussex. Here are the detailed directions on how to get to these subdivisions on the Milwaukee Builder’s website. The directions I was given were to go North on Maple and the subdivision is past Good Hope. I did find it! But at first, I was a little nervous I was trespassing in the wrong house. I knew I was at the right place when I saw all the designXchange sales tags on the furniture and decor. 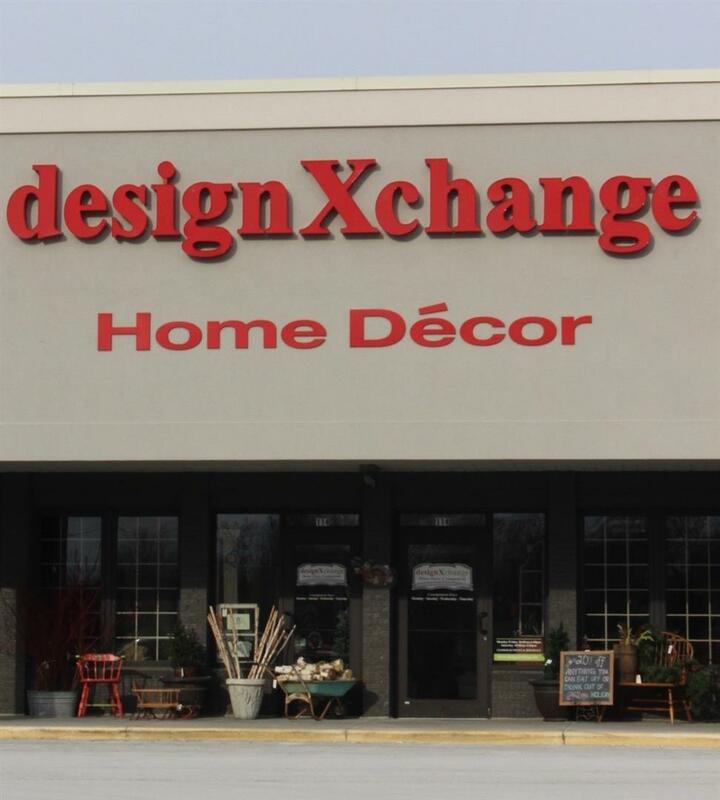 Did you know designXchange actually uses many items from their stores to furnish and stage Parade of Homes houses? This table came from store inventory and was in the garage of the Joseph Douglas house called the Bristol. It’s a gorgeous house! And one of the two we staged. On the first day I came to visit, here is what I saw in the garage! Sneak peek – here is what the living room looks like now! And you get to see a little of the eating area too (if you are looking at the top right of the picture)! There is something really interesting about the kitchen in this house. But, I don’t want to spoil the surprise. You’ll have to go look. People are talking about this! It is a ton of work getting these houses looking as amazing as they do in the Parade. Here is the beginnings of the master bedroom in the Source 1 Project Solutions house. This was just a few days before the preview night. Look at the floor, it’s cork! When you come to the Dracaena model, pay close attention to the flooring! This was just a day later! I’d show you the final look of the room, but then you’d have no reason to visit! Come on out to see the Parade of Homes and make sure to visit the two homes designXchange decorated. The Bristol by Joseph Douglas and the Dracaena by Source 1 Project Solutions. Both in the Hidden Hills subdivision in Sussex. The Parade is open from Aug. 11th to Sept. 3rd 2018. Monday to Friday from 4pm to 8pm. Saturday, Sundays and Labor Day from 11am to 5pm. Come see the homes we staged. And yes, you will see a lot of furniture and decor from our stores! See you there.